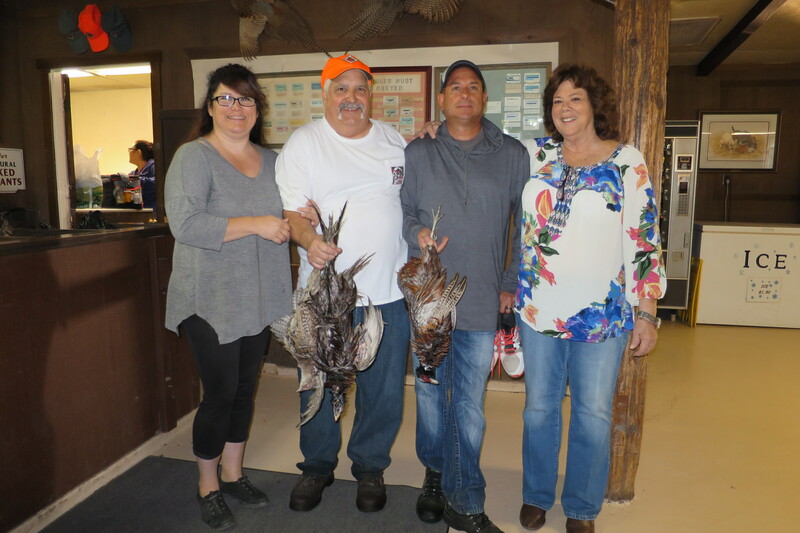 Janelle and Danielle congratulate members Steve Webb and Michael Ramos who brought in the first pheasants of the 2018-2019 Season, including one wild hen – a great start to the Season! This entry was posted in Uncategorized by KHM Secretary. Bookmark the permalink.